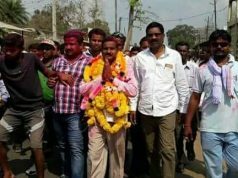 Report by Kishore Dash; Malkangiri: We should be committed to improving forests in the district as better protection and more sustainable use of forest resources will remain one of the main environment and social challenges of the coming century, asserted District Collector D.Prashant Kumar Reddy. He was speaking at the 66th Van Mahotsav 2015 celebration held under the theme `My Tree, My Future`by the Forest Department at ITI college campus on Tuesday. He stressed on the importance of maintaining and improving the forests cover by taking a collective responsibility. The collector also underlined the importance of conserving forests and urged the people to actively participate in shouldering the responsibility to plant and protect the present forests. 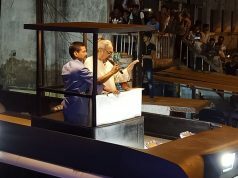 While speaking on the occasion, DFO T.Ashok Kumar,IFS stated that the Van Mahotsava festival which is celebrated during the monsoon in the first week of July intended to create an enthusiasm in the popular mind for the preservation of forest and planting of trees reminds us as citizens of the country to the fundamental duties to protect and improve the natural environment. Noting that the need of the hour is to act responsibly in mitigating the issue of climate change which is becoming a global issue with its serious consequences through massive tree plantation efforts, Kumar acknowledged that the Forest department has been undertaken massive afforestation programmes in the district over the years . 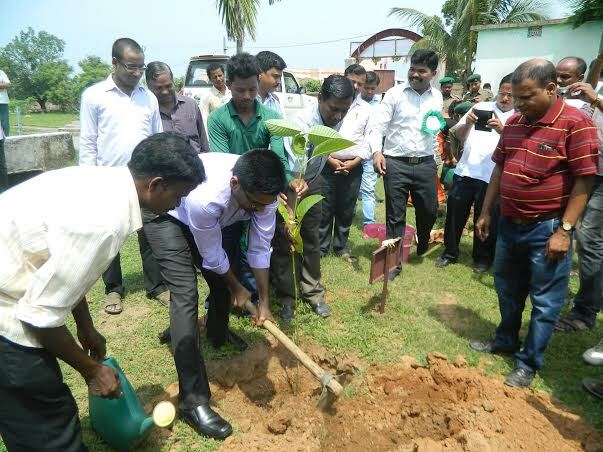 As a part of massive plantation drive to mark the Van Mahostav week,about 500 seedlings were planted at a time in ITI college campus.Prizes and awards were also distributed to the Prakruti Mitra, Prakruti Bandhu, Nuresry people.Compassionate Grant to the Victims of Wild Bear attack was also given on the occasion.Among others,DRDA Project Director Reghu G, SDPO Sandeep Sampad,ZP President Padmini Muduli,ADM Raghumani Gamang and Sub-Collector Nruparaj Sahoo also spoke .